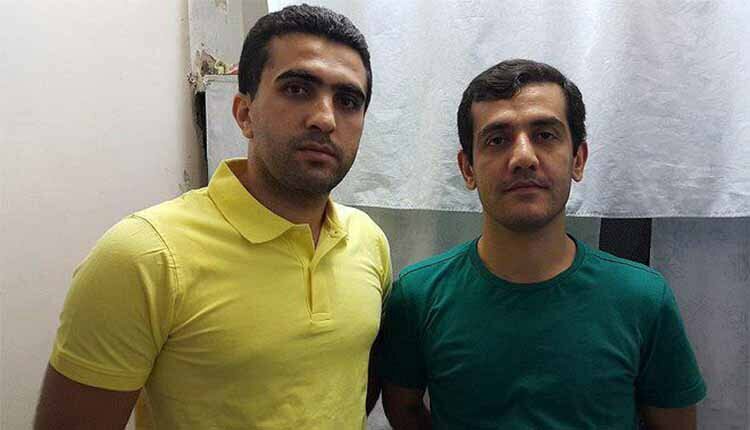 Reports from Iran indicate that the Kurdish political prisoners Zaniyar and Loghman Moradi are in imminent danger of execution. They have been transferred to the solitary confinements and their families have been asked to visit them today. Ramin Hossein Panahi, another Kurdish political prisoner who was earlier transferred to the same prison remains in imminent danger of execution. According to close sources, Loghman and Zaniyar were transferred to solitary confinement in the Ward 8 of the Rajaei Shahr Prison on Wednesday, September 5. This ward belongs to the Islamic Revolutionary Guard Corps (IRGC) and is used for political and security-related prisoners. Reliable sources have also informed that Loghman’s mother and Zaniyar’s brother have been asked by the prison authorities to visit Loghman and Zaniyar at the Rajaishahr on Friday, September 7. This is rather unusual since the prison is closed for regular visits on Fridays which are public holidays in Iran. On the other hand, all the phone lines belonging to the wards neighboring the Ward 8 have been shut down. These unusual events strengthen the possibility of Zaniyar and Loghman’s imminent executions. Zaniar Moradi and Loghman Moradi were arrested by Ministry of Intelligence officials on 1 August 2009 and 17 October 2009 respectively in the city of Marivan, Kurdistan province, and accused of the murder of the son of a senior cleric which had taken place in Marivan on 4 July 2009. They were held without access to their families or lawyers by the Ministry of Intelligence for the first nine months of their detention. During this time, they have said they were forced to “confessed” to the murder in front of a video camera after being tortured. Their forced “confessions” were then broadcast on a programme that was aired on the state television channel Press TV in early November 2010, before their trial had even taken place. In December 2010, after a trial that lasted just 20 minutes, Branch 15 of the Revolutionary Court in Tehran convicted them of “enmity against God” (moharebeh) and murder.